2013 has been an exciting year for the Indian Social Media Industry! With budding prominence of content driven campaigns, innovation and integrated strategies, more and more brands are discovering the potential that social media has to offer. On the same note, brands are now increasing their digital media budgets and making it an integral part of their business. The industry is investing a lot in technology and talent, albeit slowly. This has ensured a cohesive digital strategy for many of the top Indian brands. Likewise, the year 2013 has witnessed so many brands roll out innovative and creative campaigns via multiple social media platforms. Here, we have taken note of some of the most interesting and attention-grabbing social campaigns we’ve seen in the past year. While most Indian banks have still not gone beyond informing their customers about the location of their ATMs in the city, ICICI bank made a bold step towards virtual financial transaction through Facebook. It was clearly a youth-oriented online wallet which smartly integrated banking with social media. Unlike online banking, the Facebook app offered social activities for friends and families such as planning outings, booking movie tickets, sharing expenses and recharge mobile phones without the hassle of memorizing too many numbers and alphanumeric passwords. 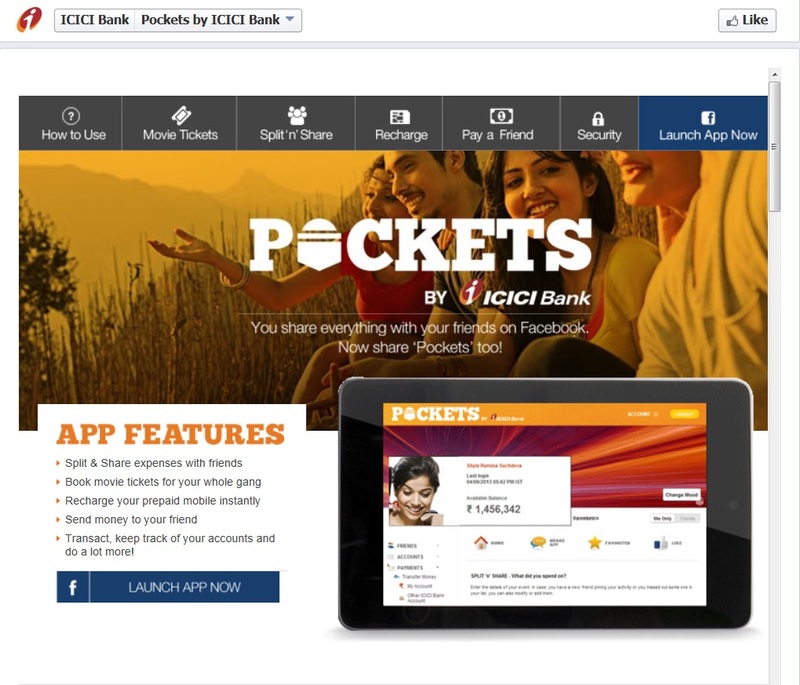 Pockets by ICICI app is a unique technological innovation by ICICI Bank that made banking easier and for customers. 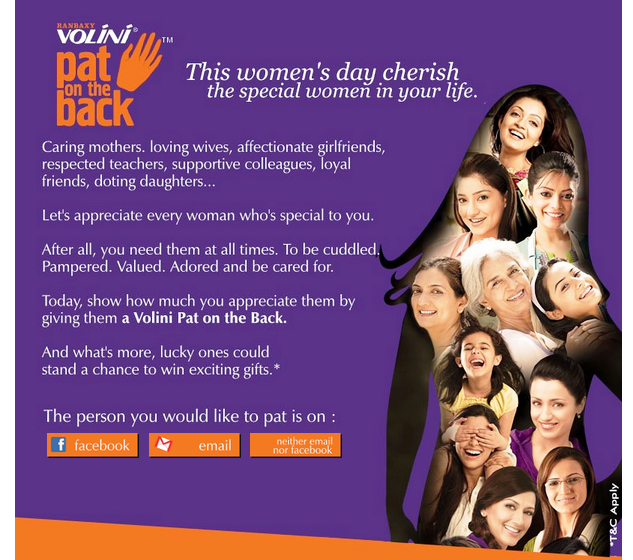 Ranbaxy Volini had launched a very interesting campaign on the occasion of Women’s Day, called “Pat on the Back”, saluting women. The campaign invited people to appreciate women in their lives by patting their back quite literally through a Facebook app “Pat on the back”. The brand then sent those pats to women and made them feel special. Within 7 days, about over 10,000 women received pats, successfully creating awareness in the society. Ranbaxy Volini’s Pat on the back campaign was one of the most brilliantly executed campaigns on Women’s day, while most brands were competing to gain visibility. Aviva India had come up with a series of batting video tutorials featuring Sachin Tendulkar! Sachin was caught in candid moments and different avatars giving lessons on Parenting, Cricket, coaching his master shots. He taught batting styles like ‘Stance’ and ‘Straight Drive’ in Youtube video tutorials. India has been a cricket crazy country for generations! Cricket is one sport that Fathers and Children like to sit and watch together. This is where the brand connect came into picture with its perfect targeting. The campaign connected instantly with Father-child relationship, subtly branding Aviva’s child insurance plans within. Oreo India had launched a Facebook-led social media campaign which made them the fastest growing Facebook pages in the world at that time. The brand created content units which connected it with an important event of the day on which the post was made. For example, on June 21, it posted a visual update reminding people that it was the longest day of the year, an obvious fact. 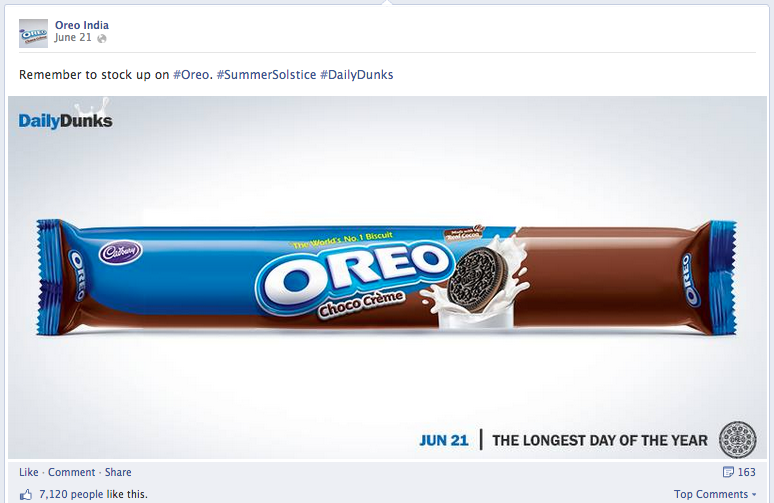 But to connect it with the brand, it used a stretched pack of Oreo biscuits as the graphics (see the image below). The first thing you notice about the posts is the use of the product and its packaging as a visual device to explain the event that it talks about in the post. Later on, Oreo India also took its ‘Daily dunks’ initiative to the community by launching Dunkathon. It had done a wonderful job with their innovative content creation. 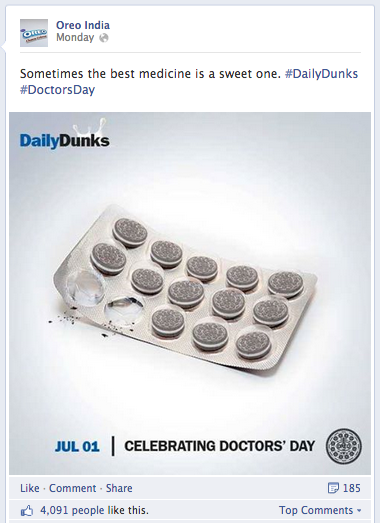 Learn more how Oreo India used Content Marketing at its Best! Pepsi India had bagged the title sponsorship rights for IPL and it had lined up several uber campaigns last summer. Pepsi’s IPL campaigns had set the standards higher for the Indian digital industry. 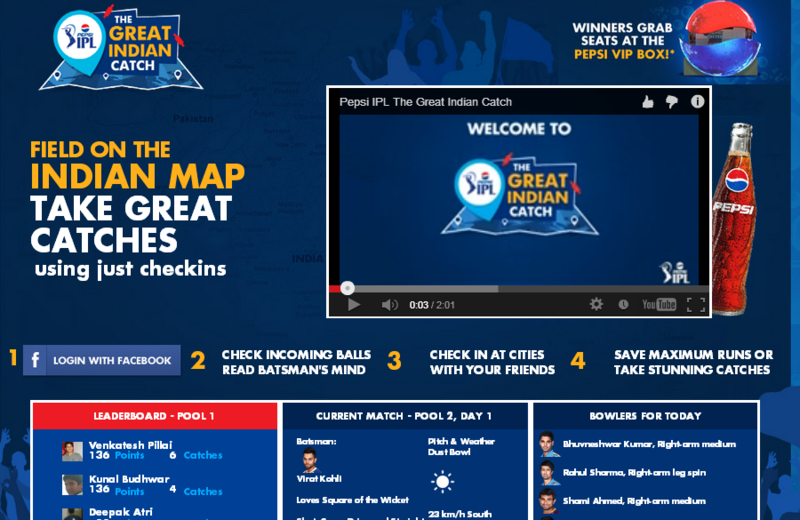 One such example was the Great Indian Catch contest that utilized Google maps and Facebook Check-In functions. When participating in the contest, the user had to login via Facebook and give access to the application to action Facebook check-ins at different cities on the map of India as defined in the application. Combination of gaming and social media was a great way to engage one’s audience. Google Maps and Facebook check-ins made it even more interesting! A fantastic idea coupled with brilliant execution had taken gamification to a whole new level altogether. See how Pepsi IPL executed this campaign. Park Avenue’s Soongh-A-Thon contest put spotlight on the new Park Avenue Classic Range of deodorants. All you have to do is answer 9 questions based on the 9 deodorants and guess their fragrances. It not only focused on the new range but also let people have fun while they discover each fragrance and its underlying tones. At the same time, describing a fragrance was not easy, simply because a fragrance is best experienced rather than explained. The copy written for the application however manages to capture the essence of each fragrance and the emotions associated with it. Hindustan Times (HT) felt the need for a No TV day. The brand encouraged Mumbaiites to Switch Off the TV and enjoy time with near and dear ones exploring the sight and sound of the city called MUMBAI. For a print media publication, Hindustan Times has done well in terms of using social media as opposed to its counterparts. Tying offline activities like an online treasure hunt, helicopter rides, science workshops even Shiamak Davar’s Dance workshops with an online engagement initiative on Facebook is a different yet cool move . 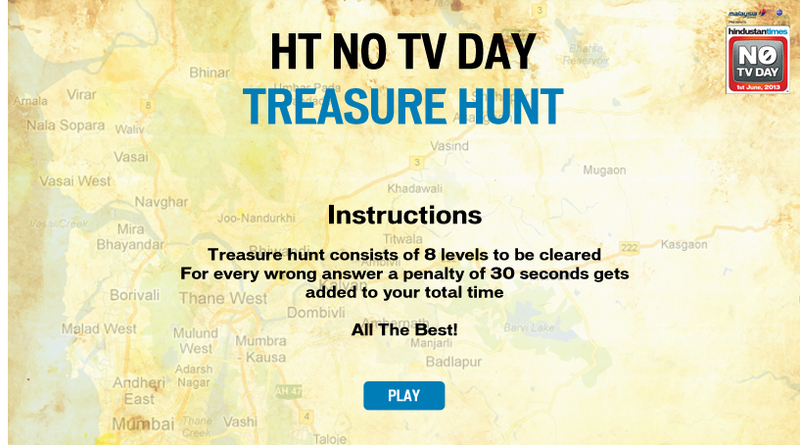 HT No TV day was a very good initiative and truly a foolproof campaign! Find out what made this campaign a grand success! Bingo! Share a Tangle Campaign promoted peer to peer sharing by encouraging users to share Bingo tangles with five friends. In what seems to be more of a sampling exercise under the garb of a contest, Bingo decided to go with this simplistic campaign. The campaign got thumbs up for its consistent brand message – ‘Khaoge toh Khilaoge’. It involved friends of fans and created a ripple effect thereby boosting the virality factor. If you want a free bingo, you will have to tell your friends to share it with you. By using the social gifting concept, Bingo had attempted to market its product ‘Bingo Tangles’ – a snack that has the mantra of ‘Khaoge toh Khilaoge’ in a whole new way. See how Bingo! marketed their product in a whole new way! Parle G was attempting to reach out to parents and kids by engaging them in an online activity to reinstate the brand philosophy. The campaign was an opportunity to interact with the core target group and build a strong relationship with them. They had launched a microsite thefuturegenius.com/ and roped in Ruskin Bond, a famous writer for the site. The micro site contains a couple of sections namely Genius Gyaan, Parents Quotient and Diary of a Genius. In a nutshell, the campaign clearly demonstrated that is not just content that works, it is content, which adds value to the society that does the magic. 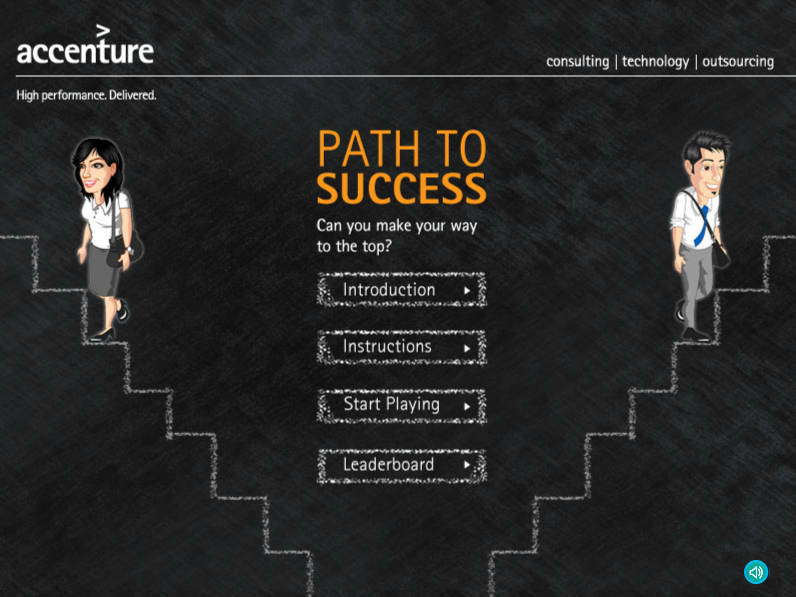 Accenture’s Path to Success campaign was a great way to find and engage potential talent in the industry. The quiz based format tested the aptitude of the users while keeping them engaged in an interesting gameplay. The game also provided an authentic experience of the corporate life by offering awards for each correct answer. It actually took them through the office of Accenture, level after level, beginning from the lobby. The quiz managed to easily fuse fun with corporate structure. Overall, the game was a great social recruiting channel. 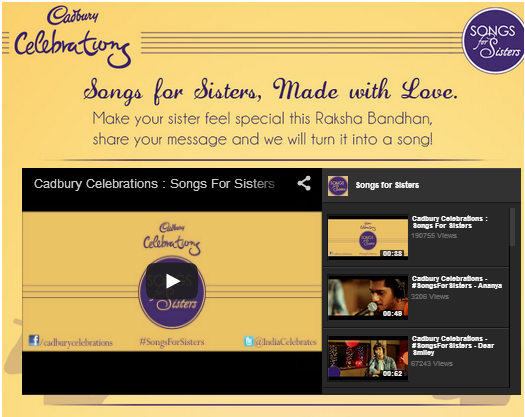 In its journey to replace traditional gifts with branded chocolates for celebrations, Cadbury Celebrations decided to leverage Rakshabandhan and the spirit of festivity associated with it. Songs For Sisters campaign was an attempt in that direction. Participants were expected to write a message, which was then turned into a song! These songs were made by some of country’s best artist like Spud in the box, Something Relevant and The Siddharth Basrur Project. Creating songs out of messages left by brothers for their sisters, in response to the Songs for Sisters campaign, not only created an immediate ripple among people, but also had a lasting effect as the promotion helped the brand place itself midst human relationships and celebrations thereof. Let us see how Cadbury Celebrations got it right! The campaign was kicked off by releasing a digital poster of the movie that got people on Facebook talking about the movie. Thereafter, the Facebook page was abuzz with content of the music launch. Lootera’s well thought out conversations, well designed apps as the launch unfolded from time to time, kept people interested and built the required buzz at the relevant stage. Add to that interesting conversations on Twitter and a concerted effort to keep things simple and romantic vis a vis mushy and over the top must be appreciated. 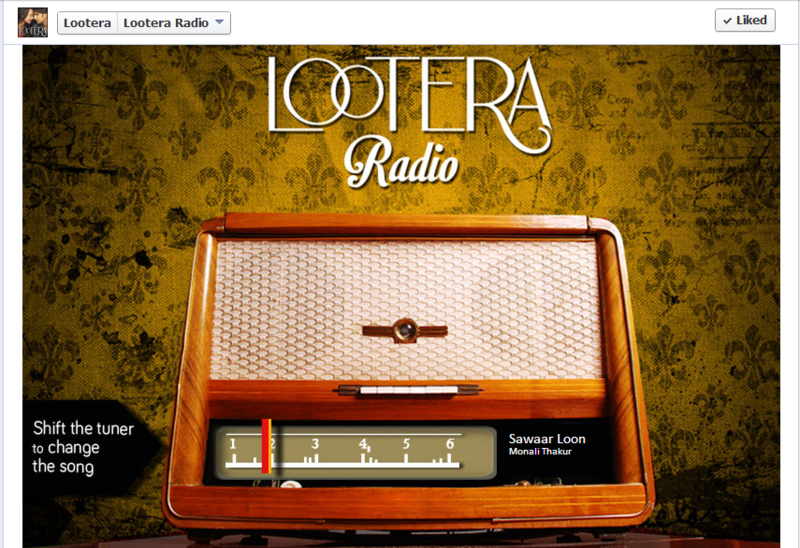 We recommend: Read how Lootera kept their audience coming back for more! Life of I campaign was a personalised journey, powered by the users’ social data that allowed them to experience for themselves the iconic moments that Pi had in the film. It was an intriguing amalgamation of several integrations, across web, television and social media platforms which offer multimedia experience to users. Needless to say, therefore, that the campaign was device agnostic and hence highly innovative. Moreover, the campaign ensured that users watch the premiere. A well-planned integration of all forms of social media, the campaign was wild, highly engaging, eye catchy and did justice to the aesthetics of the film. After the Old spice’s Mantastic television ads went viral, many users expressed their opinion regarding the new Old Spice campaign. The Old Spice had a quirky, personalized comeback for every update by every user talking about the advertisement or having an opinion in general. Of course, Mantastic conversations were backed with a drill down understanding of the subject and a scan of his persona to personalise the response which is the heart of the #Mantastic campaign on Twitter. The Mantastic man is evoked a strong sentiment on Social Media not only in response to the Mantastic man himself but also to the tel/evision commercial! The Gum Charades campaign was an extension of ‘Zubaan Pe Rakhe Lagaam’ proposition and it was in sync with the brand’s offline campaigns. Inspired by the popular movie guessing game, Center Fresh had created a game to engage its audience, wherein clues are given by 3 models through videos. Participants need to read the signs and symbols enacted by the models and guess the answer. They had very nicely customized the game for the digital platform. The overall idea of the contest was quitecompelling, and its execution has been decent! Kingfisher Strong Backstage aimed at unearthing new talent whilst bringing out a series of weekly webisodes of original compositions by artists from across the country. Purely a digital activity, Kingfisher Strong brings forth one singer who enthrals the audience with his/her singing talent coupled with fresh compositions. As a user, all you need to do is to sit back, enjoy the music and vote for your favourite singer. With content marketing at its best, Kingfisher Strong Backstage created an exceptional journey through the heart and soul of Indian music using the digital medium. Also, our extra love to them for coming up with a long-term campaign. .
After the first series of Kingfisher Backstage successfully ended, Season 2 has been recently kickstarted! Besides this campaign, Kingfisher is executing other original innovative work on Social Media too. 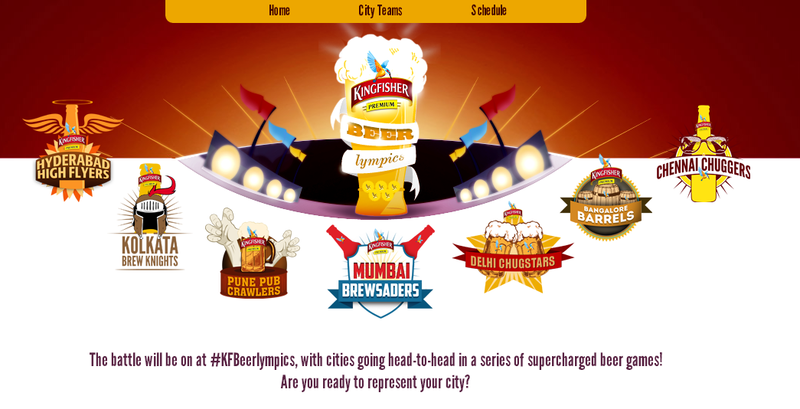 #KFBeerlympics, the beer chugging competition was executed by Kingfisher on a much bigger level – they took it national. The brand chose seven cities and immediately whetted the feelings of localism among its Twitter followers. The city vs city syndrome provoked the competitive spirit within Indians to rise, and Kingfisher used this simple technique as a foundation for its campaign. The name of the cities were turned into hashtags, which made crowdsourcing hashtags like #DelhiChugstars, #PunePubCrawlers and BangaloreBarrels, and making followers a part of their creation. A recent Gear Up Buddies campaign launched by Jabong.com in collaboration with PUMA, attempted to use the interactive capabilities that YouTube annotations provide Using the combination of a brand ambassador, an interactive video, a cross platform contest and online shopping. A video featuring Chitrangda Singh claimes to be the most annotated video in history with over 1,700 annotations. Gear Up Buddy is a well-crafted online campaign that extends to several social media platforms. With star value attached and the world’s highest annotated YouTube video, almost everything seems to be in place. Louis Philippe had initiated a Digital Campaign to promote the launch of its Autumn/Winter 2013 collection. Vidyut Jamval, the famous actor, had been roped and users were given the unique chance to turn stylist and showcase their skills by going through the latest collection of Louis Philippe. The campaign presented the new collection very interestingly and offered users an interactive experience with the same. We believe that this was a simple campaign executed well to achieve some good results. 19. 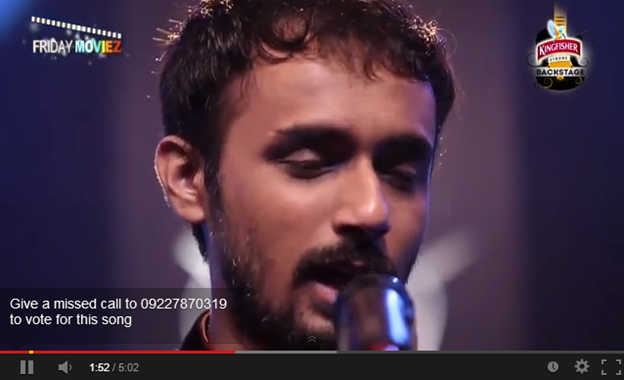 MTV India’s Saturday Night Alright! A show called ‘Saturday Night Alright!’ reiterated the MTV India’s importance to the online media by being the country’s first fiction series made for the web. It was a 12 part weekly series of about 4 friends who meet every Saturday for a round of drinks, with the show following their lives and experiences. With broadcast space being hugely expensive, working with online content is great strategy, as well as serves to put out a statement that you take the internet seriously and are out there to expand on different mediums. The fact that an MTV India is giving importance to creating fiction exclusively for the online space is a certain positive for the show. Bournville had created a hash-tag #NotsoSweet, asking users to tweet with it and describe overtly sweet situations around them. While people tweeted about the obnoxiously sweet habits they witnessed around them, the brand selected a few of them on the go and these were converted into quick 1 minute funny videos. The fact that this activity was conducted live is commendable. The videos were scripted, shot, edited and uploaded at an average time span of 20 minutes of a tweet that was selected to be converted into a video. 20 such videos were uploaded during the day. Spontaneity in this campaign contributed to the huge success! Ever seen a hotel take food orders on Twitter? If not, then get ready to check this out! 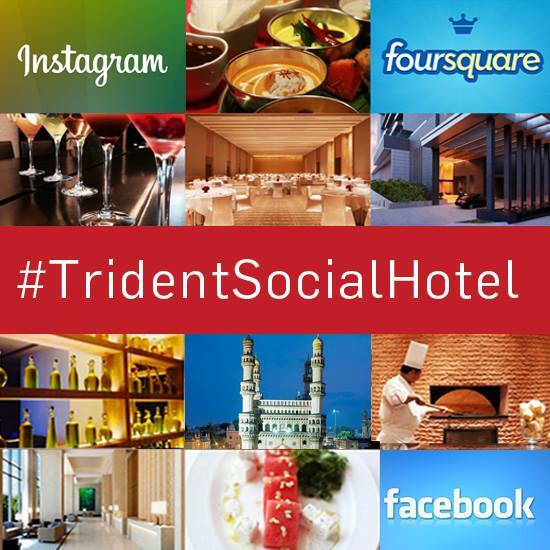 A recent campaign conducted by Trident Hotels in Hyderabad labelled as #TridentSocialHotel made social media an extension of their services. From recommending restaurants to the actual dishes itself, a Social Media conversation between the brand and the customer translated social media to services. It was an innovative concept of providing actual services that were initiated through social media. The very fact that the campaign combined the real with the virtual is what needs to be applauded. The #HalfStories phase of Tata Capital’s Do Right initiative is a shining example of adding real value to people’s lives by harnessing social media. The campaign witnesses the Do Righter Pankaj Trivedi travel from Dharamsala to Guwahati identifying everyday people and their stories of courage, perseverance and determination. Each week they bring us a new story, a new life struggling to fight against odds, asking us to support them. And Tata Capital raises funds for these people purely via social media! And we are happy to share that Social Media has been playing a major role in raising enough funds for the noble cause. L’Oreal Paris India had launched ‘India’s Red Carpet to Cannes’, a digital campaign that let very Indian girl walk the Red Carpet to Cannes digitally, feel like a Diva and most importantly feel ‘Worth It.’The spotlight with this endeavor was L’Or Sunset, an all-new makeup collection created especially for the occasion by L’Oreal Paris, Indian beauties and Bollywood magic. 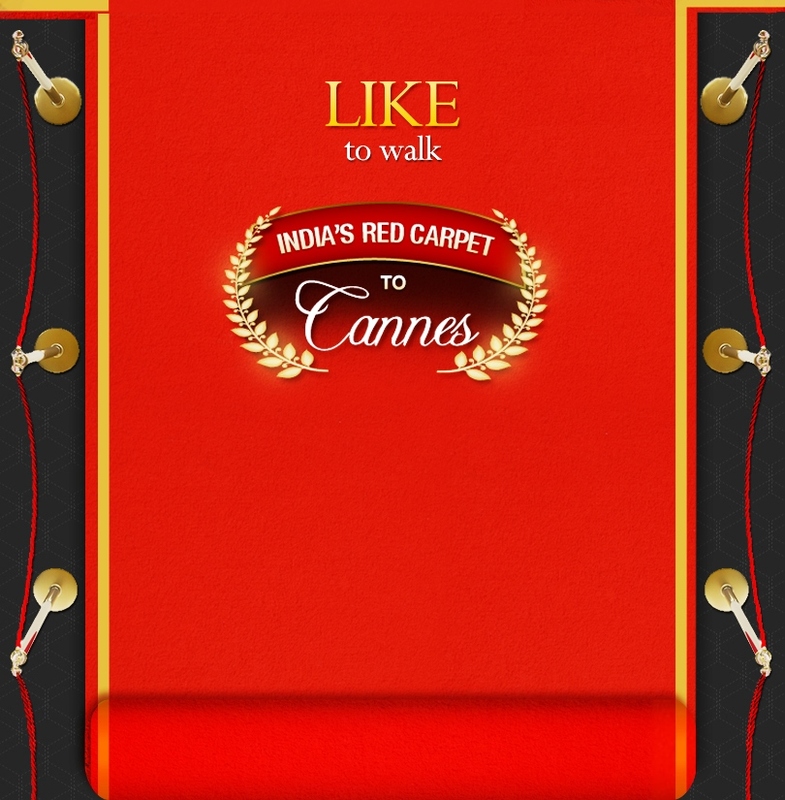 This virtual red carpet was spread all the way from India to Cannes and fans had to cover the distance in just 10 days by performing a series of tasks in order to gain access to exclusive coverage from the festival on Facebook and Twitter. The most important aspect of the endeavor was to give every Indian girl an opportunity to walk the Cannes Film Festival Red Carpet. Well timed and implemented, the virtual Red Carpet was a unique endeavor, aptly celebrating the celebrated walk of fame at Cannes. 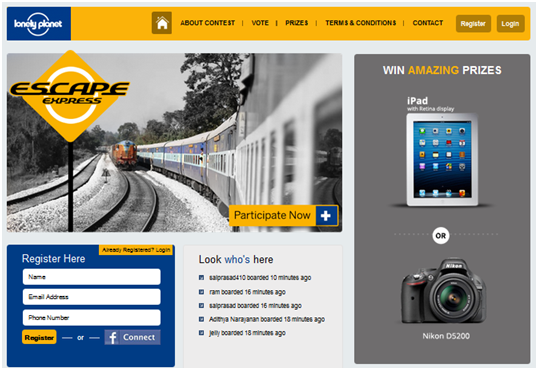 Lonely Planet India had launched the ‘Escape Express’, which was a month long social media campaign that allowed you to take a virtual train journey from Delhi to Mumbai and Bengaluru. The icing on the cake is that while you take Lonely Planet’s Escape Express, you also get a peek into getaways from each of these cities. The endeavour set out to be an interactive one, and they achieved this by getting participants to share their travel stories and featuring them on the travel guide’s website. A cool travel based campaign by Lonely Planet India, the Escape Express campaign had all the ingredients for a truly “social” campaign. It blended teasers, fun, colour, images, interaction and great prizes to score a perfect 10! Standard Chartered has initiated a 20 day campaign calling the Standard Chartered #GoodDeedMarathon and the campaign hit it off very well with online users within a couple of days of the campaign starting. It had encouraged a lot of people to do some fantastic good deeds, making them realize that little deeds go a long way. This campaign is a fantastic integration of 4 leading social media platforms. The campaign is perfectly weaved into each social profile, capitalizing on the best of what each has to offer individually. So there you go! The best campaigns of the year 2013! Which one did you like the most? If you’ve spotted any other noteworthy social campaigns in 2013 please share with us in the comments below! #CelebratingJio: A Hat-Trick that backfired!